President and founder of Teleshuttle Corporation, Richard Reisman has been a very successful inventor in the media space and has varied experience in digital content industries over many decades. He has managed and consulted for corporations of all sizes, developed a variety of pioneering online services, and holds over 50 patents now licensed by over 200 companies to serve billions of users. Reisman’s recent work (since 2010) has been on development of FairPay, a radical approach to revenue and pricing especially suited to digital content and services. His highly-praised book, FairPay: Adaptively Win-Win Customer Relationships, was published in 2016 by Business Expert Press, in its Service Systems and Innovations in Business and Society collection. He co-authored articles on FairPay in Harvard Business Review and the Journal of Revenue and Pricing Management, co-presented on FairPay at the 2015 Naples Forum on Service (all in collaborations with leading professors of marketing) -- and has written or presented on FairPay for Techonomy, Zuora, ISSIP (International Society of Service Innovation Professionals), CUNY Graduate School of Journalism, and NYC Media Lab. FairPay is an architecture for creating and sustaining "customer-value-first" relationships that 1) sheds new light on conventional models and 2) points to innovative solutions that go beyond "freemium," to a cooperatively adaptive hybrid of free and paid content. FairPay responds to the failure of the invisible hand of classical economics to deal effectively with digital services, and exploits the power of computer-mediated markets to build relationships based on a new and more collaborative “invisible handshake.” Details are on his FairPayZone blog. Reisman is now working on a pro-bono basis with industry and academic partners on research, trials, and applications of FairPay. Reisman also writes on broader issues of technology and media in his other blog, Reisman on User-Centered Content, and elsewhere. Reisman’s inventions have led to fundamental patents advancing varied aspects of digital services. A series of inventions dating from the early 2000s include advanced services related to the now common simultaneous ("coactive") use of TV and the Web using multiple screens/devices, including services like Apple AirPlay, Google Chromecast and Amazon X-Ray. Others relate to aggregation and analysis of Big Data from the Internet of Things, “wisdom of crowds” approaches for exploiting user ratings and usage data, and collaborative innovation (relevant to current issues with Facebook). Earlier patents dating from 1993 relate to advanced online services, including automatic software updates, content subscriptions (such as RSS and podcasts), e-commerce, and app stores, and to social search. 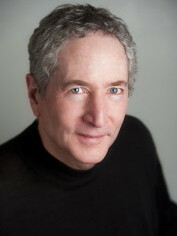 Reisman served during the dot-com boom as founding CTO for HealthSCOUT.com, a widely syndicated news and health management service. In the early `90s, Reisman developed the original TV Guide Online in a joint venture with News Corp, and consulted for Dow Jones. At BASELINE, he developed pioneering consumer online services, as well as online information services to the film and TV industry. Prior to that, he directed electronic distribution operations for McGraw-Hill / Standard and Poor`s, and managed strategy, planning, and operations (including pricing models) for major computer and telecom services at Mobil Corporation and AT&T, starting out as a software developer. Reisman has spoken and written widely. He is an active member of the New York Angels (one of the top 10 angel investor groups in the world), an emeritus board member and program committee chair for the MIT Enterprise Forum of NYC (and co-led their popular Think Tank Series: The Future of X), and was an ACM National Lecturer, a finalist for the Multi-Media Entrepreneur of 1995 award from the Silicon Alley Initiative, and a judge for the Advanced Media Emmy Awards in 2005 and 2006. He has an AB in Applied Math from Brown University and an MS in Operations Research from Lehigh University.